The apartment was fine. Access was a bit strange but it was clean, well appointed and had great views. The TV was hopeless- no English programmes even tho we seemed to run into English people everywhere. 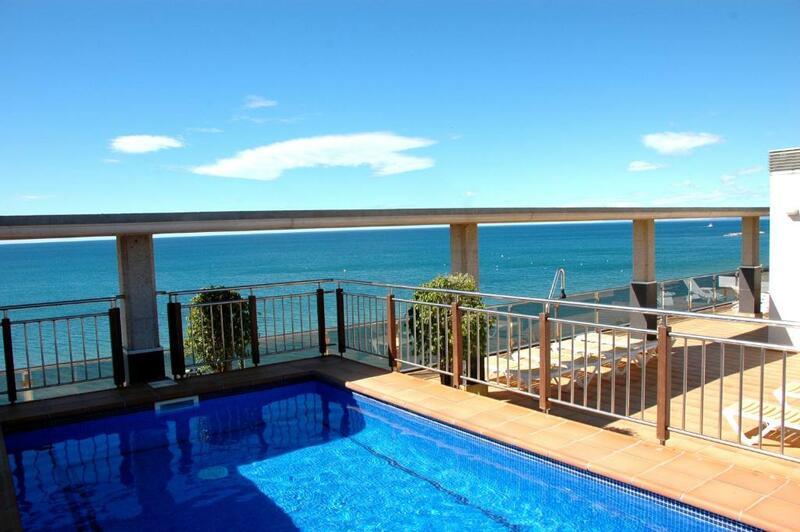 great location, great sea view. a lot of space for kid. Fantastic apartment complex with a direct view of the beach. Very clean and modern with comfortable furniture and beds. Fully equipped kitchen with dishwasher and laundry. 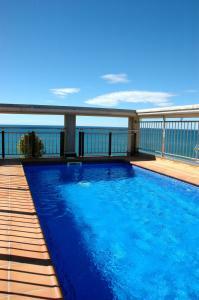 Pool area was clean and also allowed views of the surrounding area. Hotel staff were very helpful. Superb apartment, would recommend anyone who is looking for a really nice and clean place to stay to book this. Tout étais nikel ont a passer une semaine au top, l’emplacement face à la plage, le confort de l’appartement, les équipements, tout commerce resto à proximité, excellent!! Nous reviendrons! 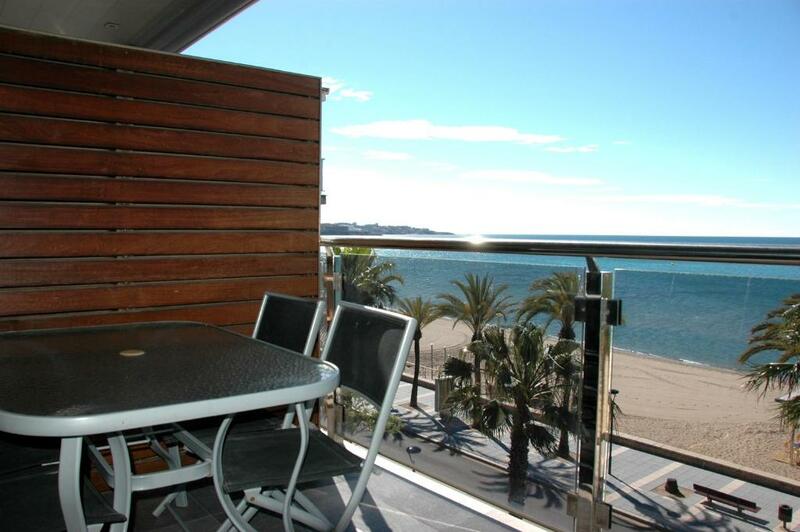 Lock in a great price for Apartamentos las Palmas VII – rated 8.3 by recent guests! 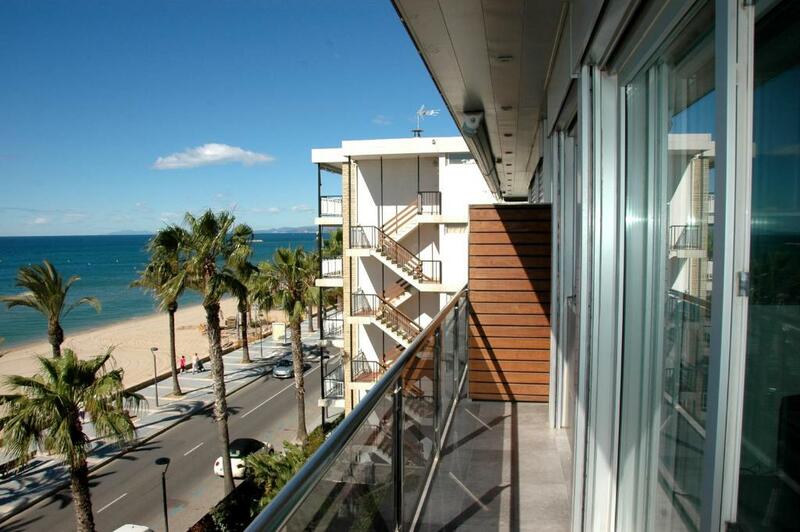 One of our top picks in Salou.These modern apartments are located on Salou’s seafront promenade, 30 feet from Ponent Beach. They offer 2 shared, seasonal pools with a sun terrace and scenic Mediterranean Sea views. There is 1 twin bedroom and a master bedroom with private bathroom featuring spa bath. Sheets and towels are included. Outside, there is a seafront balcony, perfect for al fresco eating or relaxing. 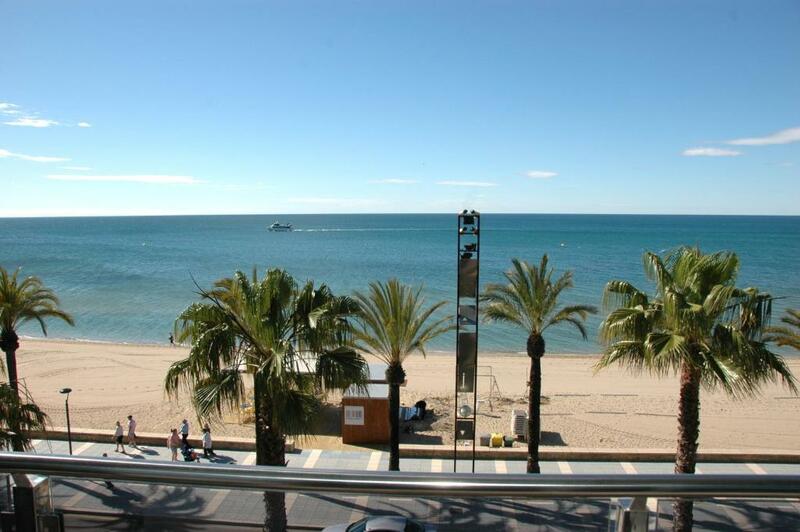 There are several bars, restaurants and shops within 5 minutes’ walk and the Port is just 2,300 feet away. PortAventura Theme Park is 3.4 mi away. 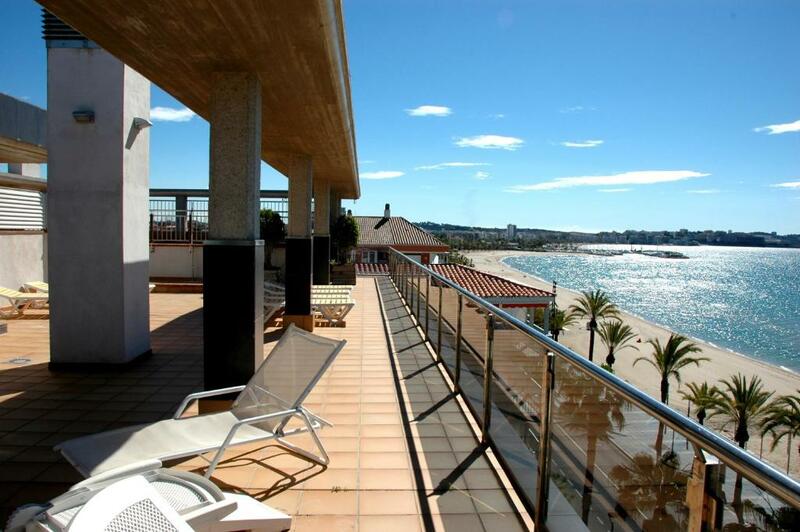 The las Palmas VII apartments are 10 minutes’ walk from Salou Train Station and 20 minutes’ drive from Reus Airport. Central Tarragona is 7.5 mi away. When would you like to stay at Apartamentos las Palmas VII? 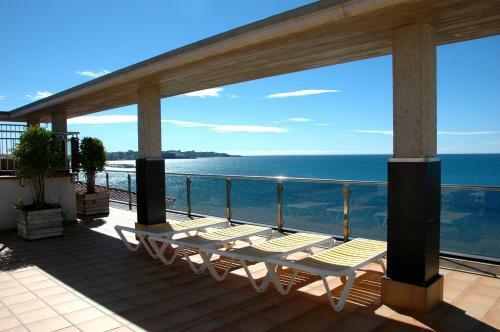 These air-conditioned apartments feature 2 shared, seasonal pools with a sun terrace, a balcony and scenic Mediterranean Sea views. The lounge includes a sofa and the kitchen has a washing machine, dishwasher and oven. There is 1 twin bedroom and a master bedroom with private bathroom featuring spa bath. Sheets and towels are included. This apartment features a tile/marble floor, spa bath and oven. 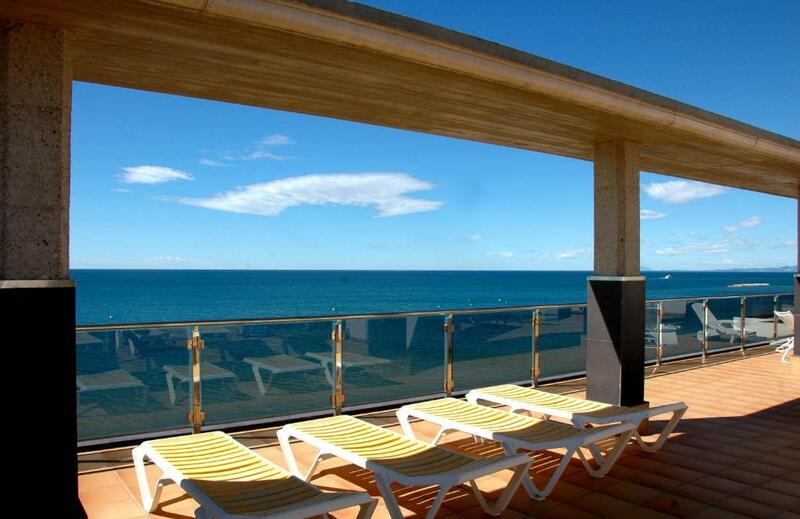 House Rules Apartamentos las Palmas VII takes special requests – add in the next step! Apartamentos las Palmas VII accepts these cards and reserves the right to temporarily hold an amount prior to arrival. Please inform Apartamentos las Palmas VII of your expected arrival time in advance. You can use the Special Requests box when booking, or contact the property directly using the contact details in your confirmation. The check in was a disaster. We didn’t read the Bkg .com instructions about picking up the key. I travel all the time and never yet had to pay $300 deposit as bond. A bond secured on my card is fair but to pay 100% of the cost on checkin and $300more as well is ridiculous. Getting into the apartment was not easy, yet we were only given one set of keys- hopeless!! the heating system is quite poor. Hot water is only enough for one person to take shower. Then we have to wait for half hour. cook pan is old, not suitable for cooking. Picking the keys up from the hotel is a small hassle (as was dropping them back off due to early flight) but I was aware of this before I travelled. eMails to the hotel via Booking.com were unanswered which was a concern until arrival, however once there the hotel reception staff were a great help. Nothing at all - this apartment ticked all boxes.